I have posted before about using less, but I think it is something to be reminded of regularly. For example, I was making red beans and rice for dinner tomorrow. In the past, I would use a whole package of andouille sausage for it. Today I used just one link. It is enough for flavor and will save money in the long run if I can use a package of sausage for several meals. Another idea to save money is to work less. Let me explain before you get the wrong idea. By washing sheets every other week instead of every week, you can save money. You are using half the amount of water, electricity and gas by doing it less. Unless you are sick, every other week should be acceptable. You can also wear your clothes one extra time before washing them. Unless they are dirty or stink, this will cut your laundry in half. You can also use half as much laundry soap or dishwasher soap when cleaning clothes or dishes. It will last twice as long. How about washing your hair every other day instead of every day? You would use half as much shampoo by doing that. Drive your car less by consolidating trips. By eating proper portions, your food can last much longer too. Your waistline will also be happy. 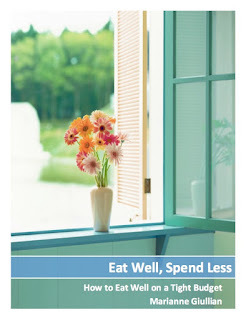 There are lots of ways to save just by doing less. Think of the things that you do, and figure out something you can do less to save more.